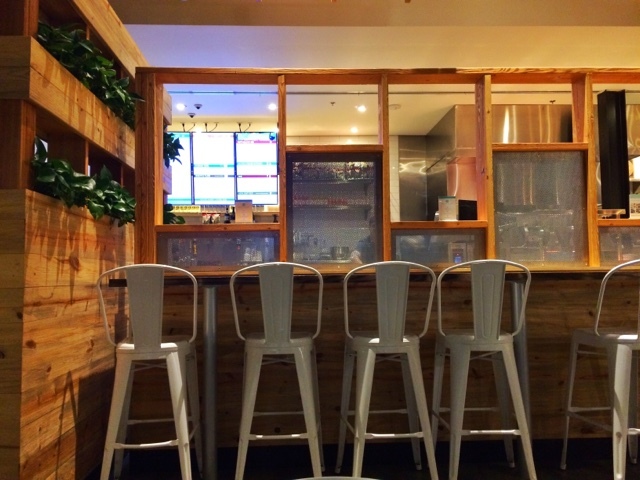 For those of you who love to eat delicious AND nutritious food, Modmarket will be your new go-to spot. I got to check out Modmarket at Preston Hollow Village this weekend, and let me tell you, I loved every second of my time there. Walking into the restaurant, the layout automatically grabbed my attention. They do a good job of accommodating for large groups, for couples, and for solo-eaters. 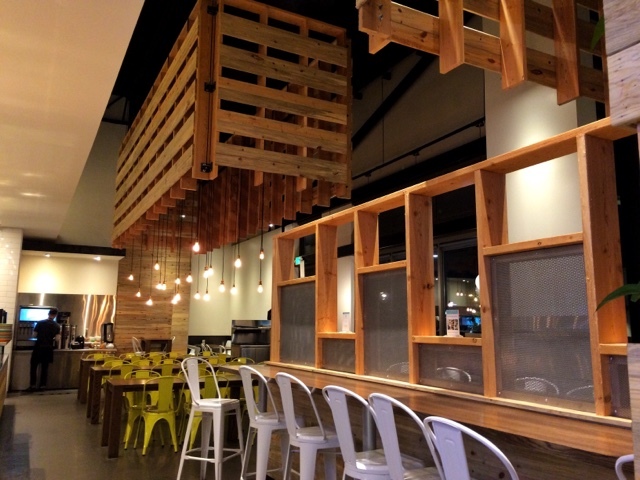 (There are tables behind this wall of white chairs for a more intimate dining experience.) As far as decor goes, I love the use of wood paired with the bright accent chairs. Granted, I'm a sucker for the rustic look, but I think Modmarket perfectly captures simple yet enticing. I started out with the Bavarian Wheat by Franconia to sip on while waiting for my food (which had to be less than 5 minutes). I love how Modmarket focuses on nutritional fast food options. It's great for those of us who don't have a whole lot of time to plan out meals or cook healthy homemade food. 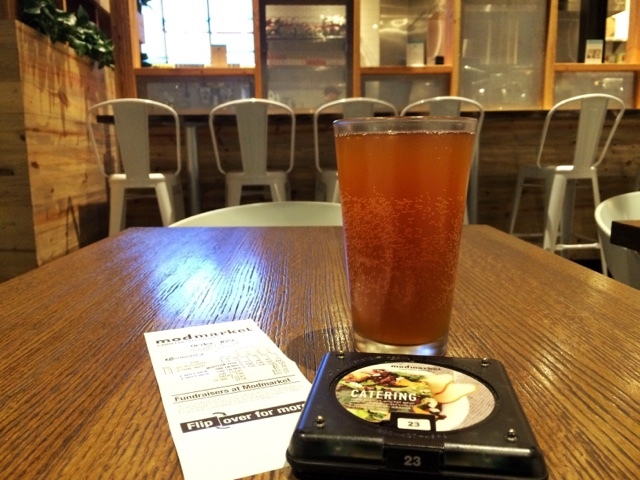 Modmarket makes it easy to grab a calorie-friendly meal at wallet-friendly prices. 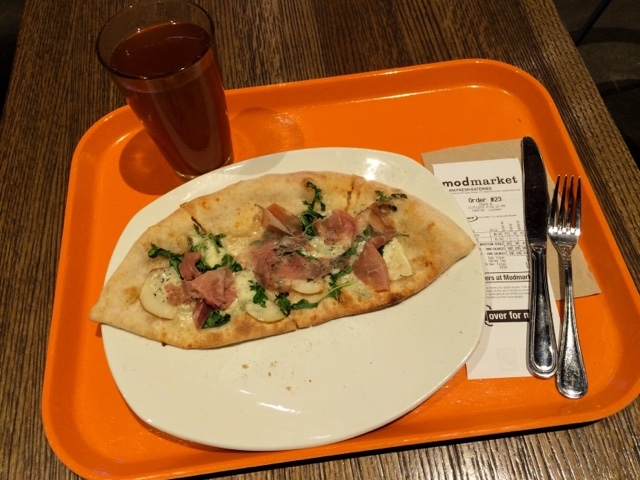 For my entree, I went for the half portion of the Prosciutto flatbread (featuring creminelli prosciutto, arugula, pear, gorgonzola cheese, a 3 cheese blend, and a whole grain dough). The only thing I can say is, I wish I had gotten the full size. Another thing I love about this restaurant is that they provide nutritional facts for your meal right on the receipt! For my fellow MyFitnessPal users, this is a huge time saver! They have numerous locations around the metroplex. Click here to find one near you and check them out!